2. Borax (sodium tetraborate) is a natural mineral. Its qualities as a cleansing agent are thought to have been discovered by Native Americans when they were washing their clothes in a stream near a borax deposit. It helps remove tough stains, deodorizes, and naturally softens hard water. It is demonstrated to be as effective as many color-safe bleaches that are commercially available. 3. Washing soda (sodium carbonate) has long been prized as a laundry booster and odor neutralizer. It's particularly effective on ground-in dirt and stains and has the ability to power through greasy soils. A little goes a long way. For a regular load, 1 tablespoon will do the job--more for extra-large or heavily soiled loads, less for high-efficiency, front-loading washers. This bag will clean up to 48 loads or more. Full instructions are included on the label. Please note: This is a low-suds laundry soap. In fact, seeing suds in your wash may mean you're using too much! Dave says: "I had two white dress shirts that I'd stopped wearing because we couldn't get out the grimy ring around the collar. We'd tried several expensive pre-treatments and washed them again and again with no success. I was about to throw them away when we began testing this laundry soap. I put them in our washer with 1 tablespoon of this laundry soap and ran them through on the warm cycle. When they came out of the wash, I couldn't believe what I was seeing--the stains had faded almost to the point that I couldn't find them. While the shirts were still damp, I rubbed one of the laundry bars all over the remaining stain and washed them again. They came out of the wash looking fresh and bright with no sign left of the collar stains. I'm so glad I didn't throw those shirts away! 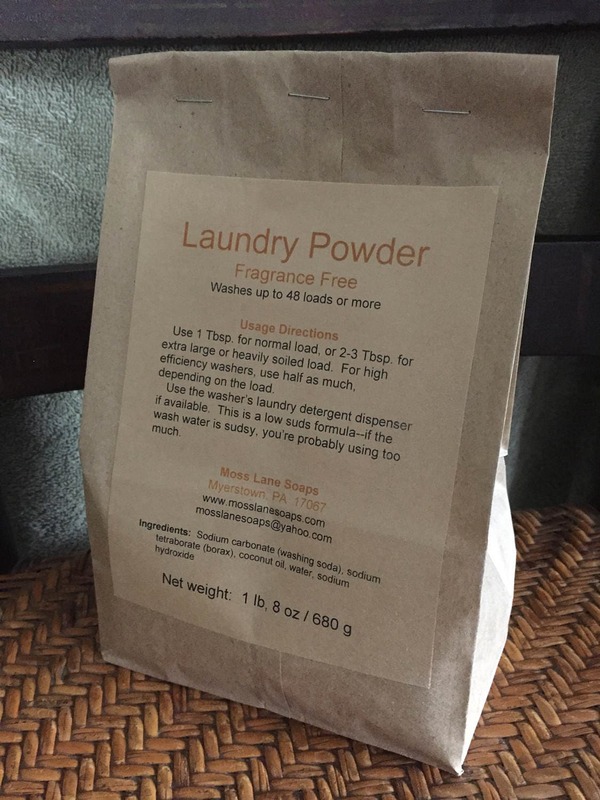 No more commercial laundry detergents for us!" If you'd like to make your own unscented laundry soap, we recommend that you begin with our laundry bar to be found here: https://www.etsy.com/listing/240291759. Send us a note with your order and we'll be glad to include the recipe we use!